Aeration is a great way to make sure your lawn has that perfect green sheen. By opening the turf to the air by lifting, piercing and shifting it, the soil becomes less compact - letting grass grow longer roots and allowing rainwater to easily pass through. 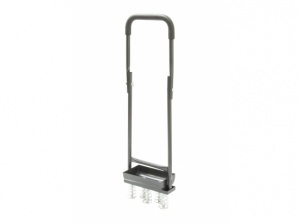 We stock a range of different types of aerators. 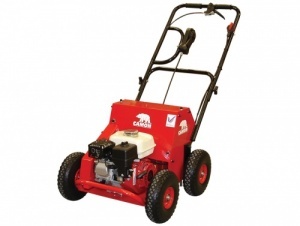 A hollow tine aerator, for example, is manually operated and works by pushing the bar into the ground - great for small to medium sized gardens. For larger gardens and professional work, we recommend powered aerators - these machines are powered by an engine and get the job done far quicker. Whatever method you decide, we're confident you'll end up with the perfect lawn! Handy Hollow Tine Aerator with 12-month warranty and quality steel construction. The Camon LA25 is built to the highest standards and offers outstanding reliability, durability and performance.